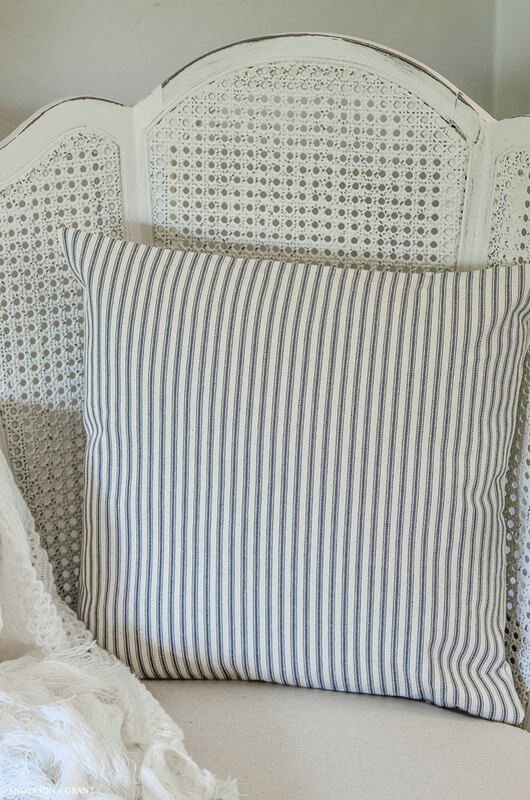 One of the easiest sewing projects you can try is making a pillow. some simple cutting and a few straight stitches. Adding a couple new pillows to your couch, bed, or accent chair can instantly change the feel and style of your room for very little money. And if you make them yourself, the style possibilities are endless with the types of fabric you can choose and trim that can be added. When you grow tired of what you've created, you can always reuse the pillow forms and create new covers. An envelope style pillow cover is one where three pieces of fabric are sewn together with the two back pieces overlapping but not stitched shut. This allows for easy insertion and removal of a pillow form and eliminates the need for adding a zipper or slip stitching the case closed. It is really a beginner level project in case you aren't handy with a sewing machine. And this type of cover is not only easy to make, but can be removed and washed as needed. 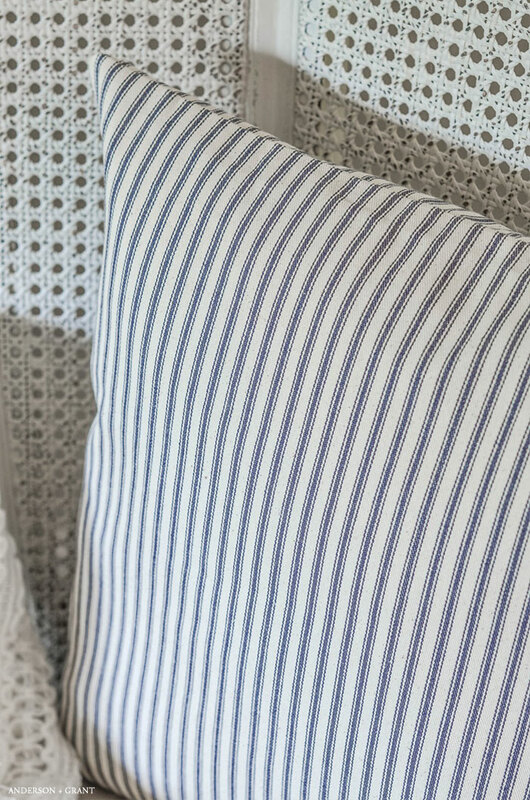 For this pillow cover, I chose blue mattress ticking material from Joann Fabrics. You can find it in the utility fabric section with the burlap. It is really heavy and creates a sturdy pillow cover. 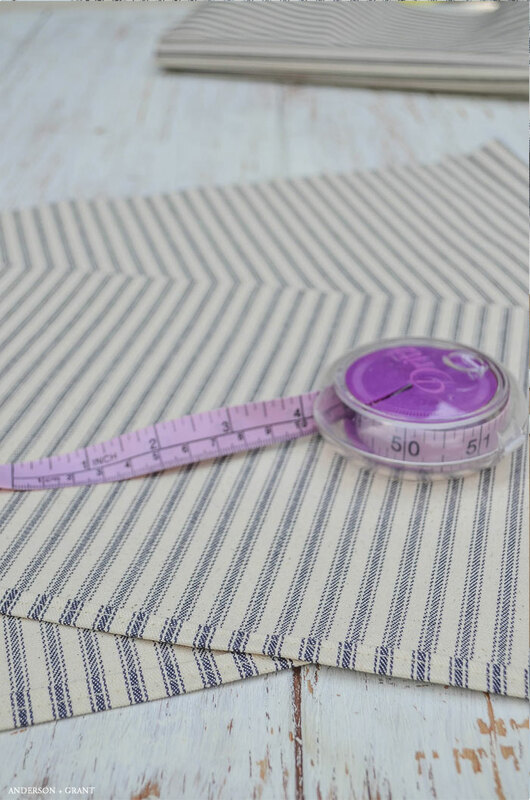 The stripes help ensure that you are cutting and sewing straight as well, which is a definite plus for a inexperienced sewer like myself. 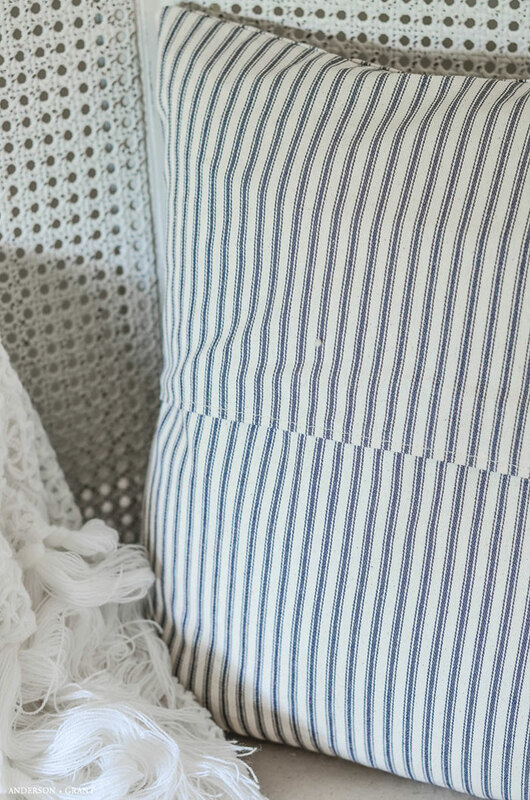 There are so many different textures and patterns of decorator fabrics to choose from at places like Hobby Lobby, JoAnn Fabrics, or online stores like Fabric.com. You should have no problem finding something that will fit in with your decor. 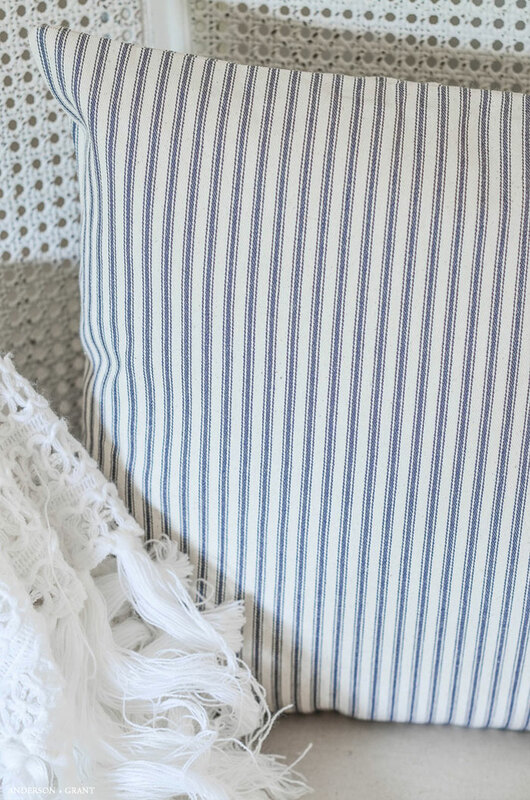 Before beginning a project like this, you should wash your fabric to ensure that it doesn't shrink in the laundry after your pillow cover is constructed. It also softens the material and gets rid of the stiffness that a decorator fabric might have. 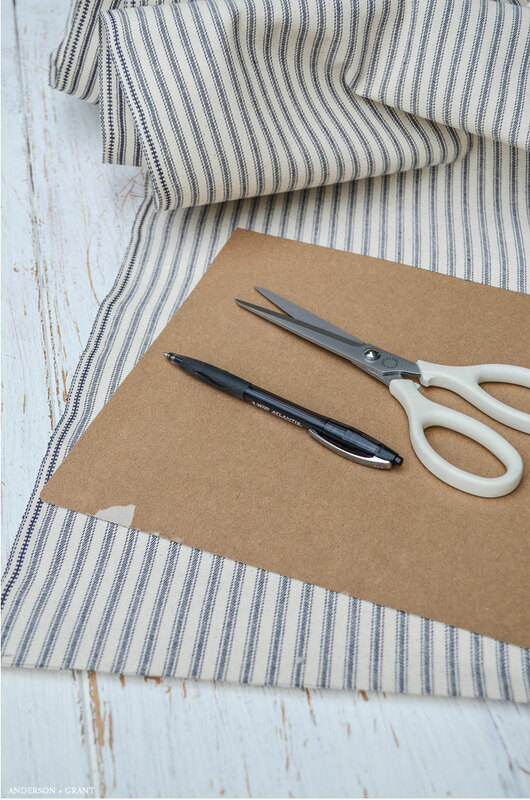 You'll need to cut three separate pieces of fabric to construct this pillow cover. If you are doing more than one (or plan on doing more in the future), you may want to make a sturdy template out of cardboard or an old file folder to make the measuring job easier. 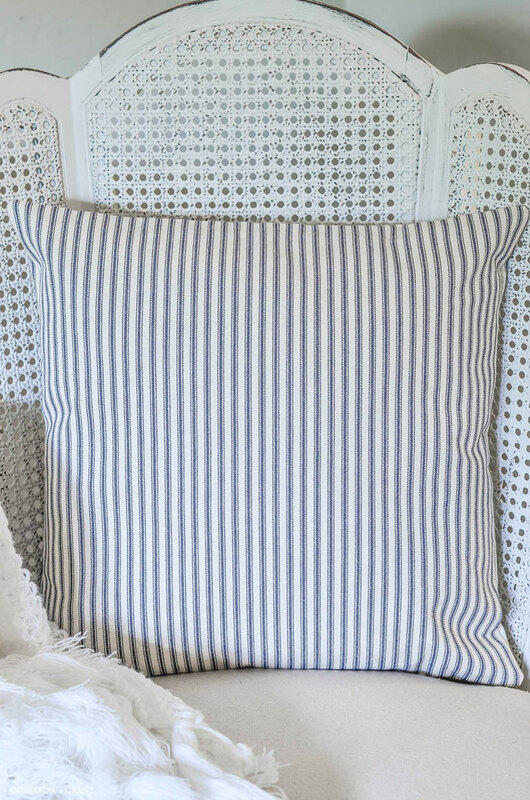 If you are using striped fabric and are a little OCD like I am, be sure to cut your pieces straight down the same side of the fabric so that the lines match up when your pillow cover is stitched together. When you've cut your pieces, iron them flat. Then, you'll need to fold over and iron one long edge on both of the smaller pieces. These edges will form the opening in the back of the pillow. Fold the edge of the fabric over about 1/2 inch, iron the edge, and then fold over again 1/2 inch. Iron the edge well. Doing the double fold creates nice, clean hem for your pillow. Lay the large square of fabric down on a flat surface with the good side facing up. Then lay the smallest piece on the top half of the square with the wrong side facing up. Place the larger rectangle piece on the bottom half of the pillow with the wrong side facing up. The hemmed edges will overlap one another. 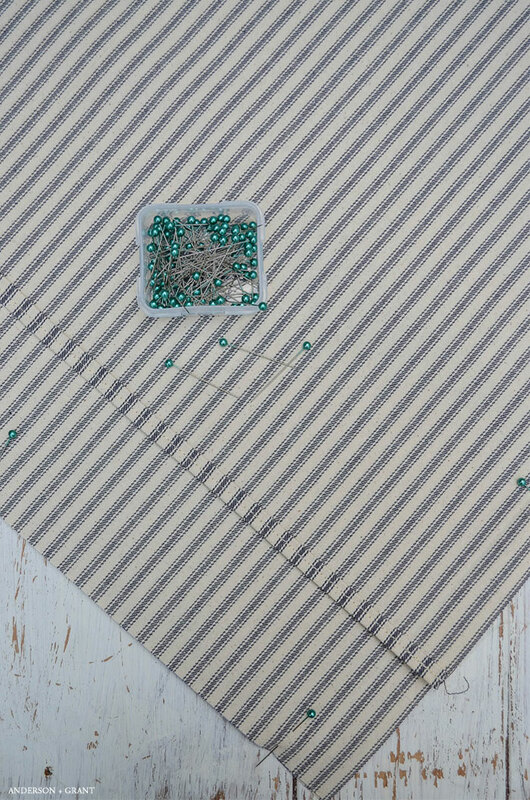 Stitch around the entire square on a sewing machine, creating a 1/2 inch seam. Backstitch over the sides in the area where you'll be inserting the pillow form so that seams don't tear when pulling the pillow in and out of the case. Remove your pins. Clip off the four corners of your pillow case so that there is less bulky fabric to fit inside of the small corner. Just be sure that you don't clip too closely and cut into the seam. Turn the pillow cover right side out through the gap between the back pieces. Use something like the eraser end of a pencil or wood chopstick to gently push out the corners. Iron the cover again, paying special attention to the seams. You want your cover to have nice, crisp edges. Insert your pillow form, do a little fluffing, and add it to your chair! * Don't worry if your pillow cover ends up slightly smaller than 16x16. The pillow form will still fit inside and it will create a fluffier and fuller pillow. Just be sure that if you are making a set, you sew the others the exact same way so that the pillows match. * The fabric that I used was not very wide, so I was only able to cut down one side of the fabric and was left with a runner of fabric down the other side that was not quite wide enough. You may be able to cut the fabric slightly smaller and sew a closer seam if you want to get two pillows wide out of the narrow fabric. * You can make adjustments to this pattern for different sized square pillows. Just remember to measure the pillow and then add in the seam allowance before cutting. 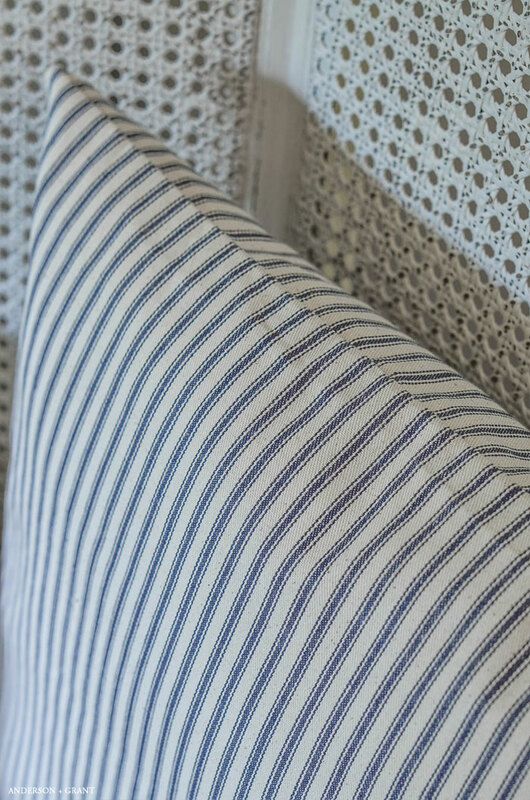 * The pillows can be made more decorative with the addition of pipping, trim or decorative button closures. 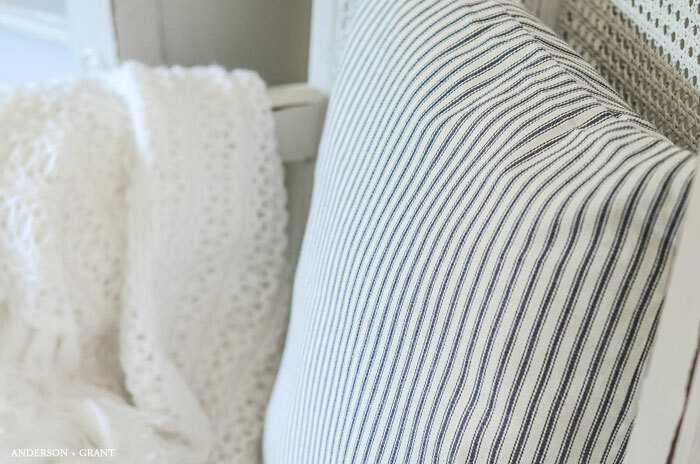 Buying pillows at the store and online can become quite expensive and you may not be able to find the exact pattern, texture, or color that you want. But spending just a short period of time making your own simple covers will give you a custom designed look for your space without investing a lot of money. 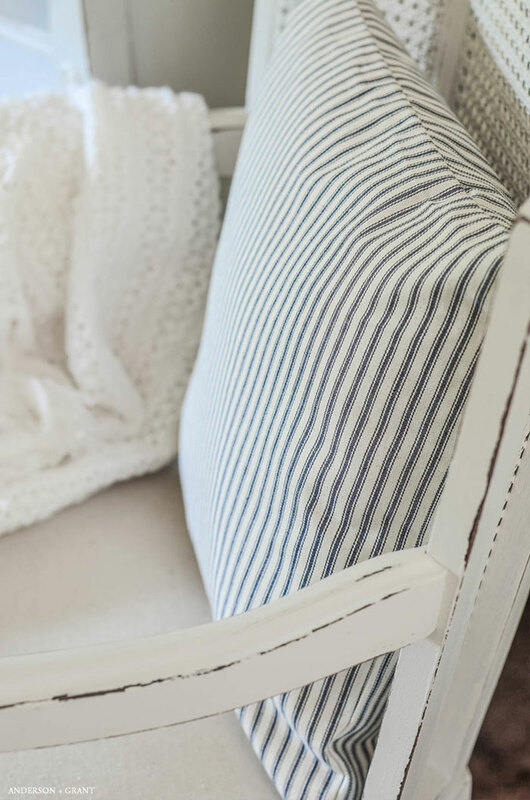 Is sewing your own throw pillows a DIY project you'd be willing to try?